Discover the 750-year-old Oudewater - one of Holland’s most beautiful towns - and unveil its rich rope-making and witchcraft history. 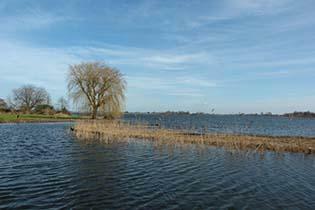 Leaving behind the historic centre of Gouda, we cycle through the beautiful Reeuwijk Lake District. Once this was an area where peat was extracted and land was taken away. Now this is a paradise for birds and cyclists with narrow roads and tranquil nature! We continue to Oudewater, which literally means Old Water. 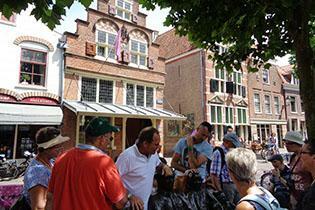 We will explore Oudewater, the history, the canals & the old town. First, we will catch our breath from the bike ride and enjoy lunch. 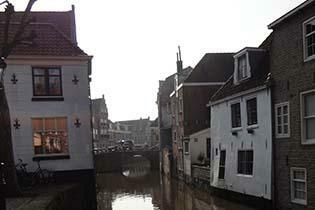 Oudewater is a nice place to explore from the water doing a canal boat tour (optional activity). We will catch a grasp of the colourful history of Oudewater, in the infamous 'Heksenwaag', where suspected witches were weighed (optional activity). In Europe, thousands of people in the Middle Ages were put to death on charges of witchcraft. 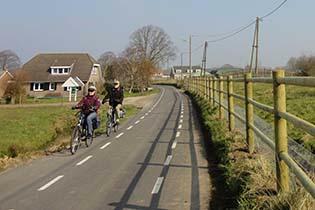 We return to Gouda via a countryside bike route, stopping at the village of Haastrecht. This tour ends at the Market square in the centre of Gouda.